With a population between 10,000 and 30,000 in its heyday (A.D. 1050-1200) and a sprawling assortment of homes, storage buildings, temples, cemeteries, mounds and other monuments in and around what is now St. Louis and East St. Louis, Illinois, the ancient Native American city known as Greater Cahokia was the first experiment in urban living in what is now known as the United States. A new book, "Revealing Greater Cahokia, North America's First Native City," offers the most complete picture yet of a decade of archaeological research on a little-known part of the larger city and its precincts in East St. Louis. 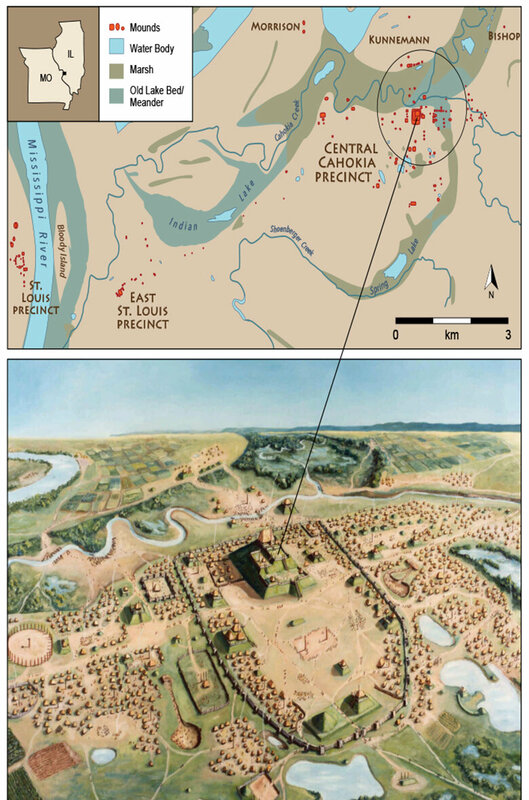 The more famous part of the city is preserved as Cahokia Mounds Historic Site, which had more than 100 earthen monuments, a 50-acre plaza, neighborhoods and a central pyramid, the massive Monk's Mound, which, according to the authors, was "the largest earthen structure in the New World." 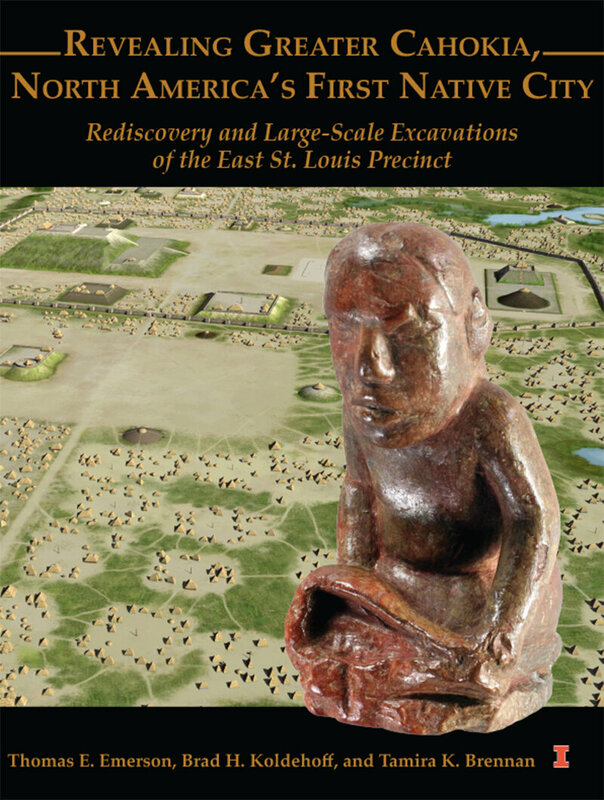 "There's never been an excavation as extensive as our dig into the Cahokia precinct in East St. Louis," said archaeologist Thomas Emerson, the former director of the Illinois State Archaeological Survey, a Cahokia researcher and one of three editors of the 537-page volume. "And there's never been a book with as many new discoveries about Cahokia as this one." Cahokia rose abruptly starting in A.D. 1050, and was abandoned almost as abruptly 250 years later. Its failure—which other studies revealed came during a period of climate change and regional conflict—offers more of a mystery than its origins. "Certainly, a warmer medieval-period climate was behind the early growth of Cahokia, as was the adoption of maize or corn agriculture and the spread of a new Native American religion," said Timothy Pauketat, a professor of anthropology and of medieval studies at the University of Illinois and a co-interim director of ISAS. "People immigrated to this new city from far and wide, probably perceiving it to have been blessed by spiritual forces. There's no better place in North America for a civilization to arise." Between its origin and abandonment, Cahokia was transformed by human activity. Its people constructed several types of mounds, which had practical as well as ceremonial functions. They also built temples and homes with wooden posts and thatch roofs and walls. They carved figurines depicting a female goddess and made ceramic vessels with special types of containers for food and ritual. They fashioned stone, flint and copper tools. They imported ocean shells, shark teeth and caffeine-rich tea leaves from distant waters and lands. They buried their dead in large group cemeteries and in ceremonial mounds. - Strontium analyses of the teeth of dozens of individuals buried in Cahokia reveal that, while most citizens grew up in the immediate vicinity, at least 20 percent were immigrants from elsewhere. - Agricultural tools and animal bones reveal that the people ate a wide variety of foods, some of which they hunted and gathered, but much of which they grew in their fields. - A study of plant residues found inside decorated pottery beakers that look like large coffee mugs found evidence that the beakers were used to consume a type of holly tea, called black drink, used as a stimulant by Native peoples elsewhere in the Americas. 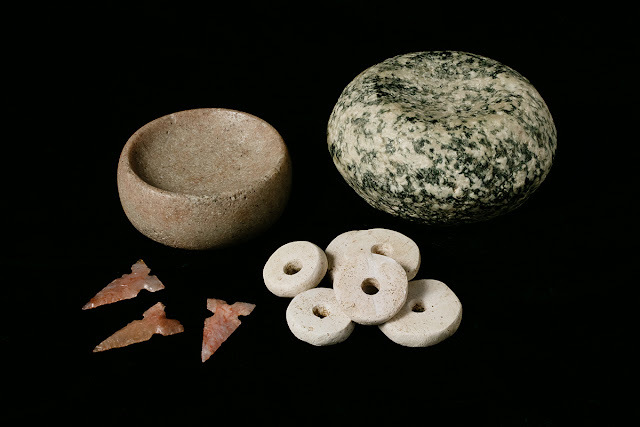 - Objects made from materials not available in the immediate vicinity make it clear that visitors brought gifts to Cahokia when they came to experience the city's many wonders. 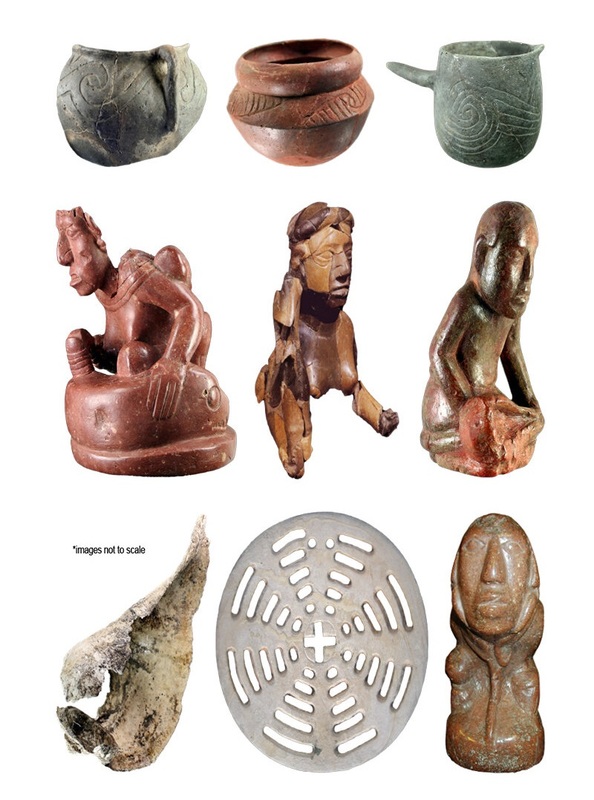 - Numerous carved likenesses of humans and animals uncovered at Cahokia open a window on the spiritual beliefs of their makers. - The book also details the history of the land and landscape and processes that destroyed—and in some cases preserved—parts of the site when European newcomers built their towns, highways and farms on top of the ancient city.